Today is my son's 5th birthday. I know every mother says this, but I really can't believe he's five already! 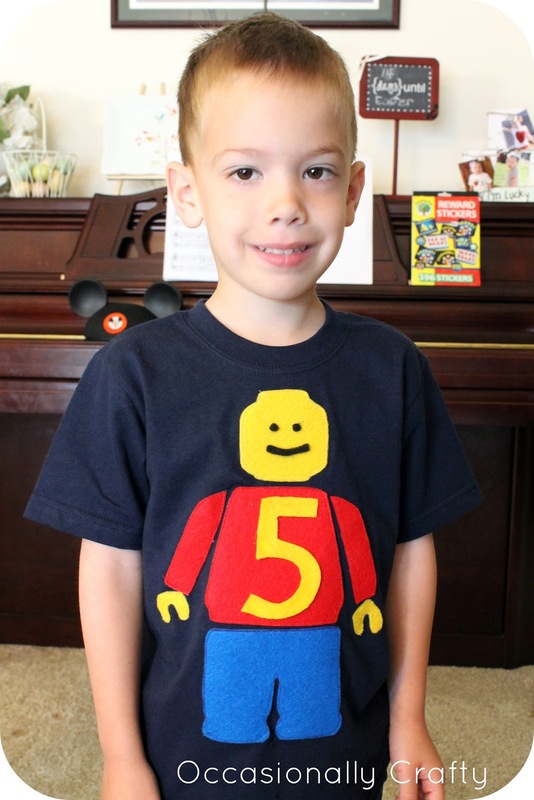 He'll be having a very "Lego" birthday. A lot of his presents are either Legos or have a Lego theme. Right now he's especially into the Star Wars and Ninjago Legos. 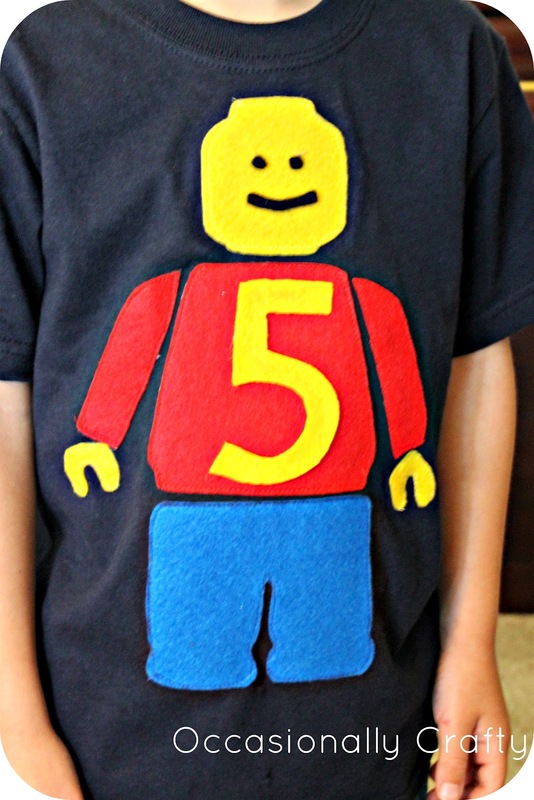 So, I thought this Lego Man Birthday Shirt by Liz on Made on Maple (which, by the way, is a blog by my super-talented sister in law and her super-talented friend!) would be the perfect thing to wear for his birthday. She thoughtfully provides a pattern for us to use. The only alteration I made was keeping the pants and shoes together, as I am a lazy sewer. 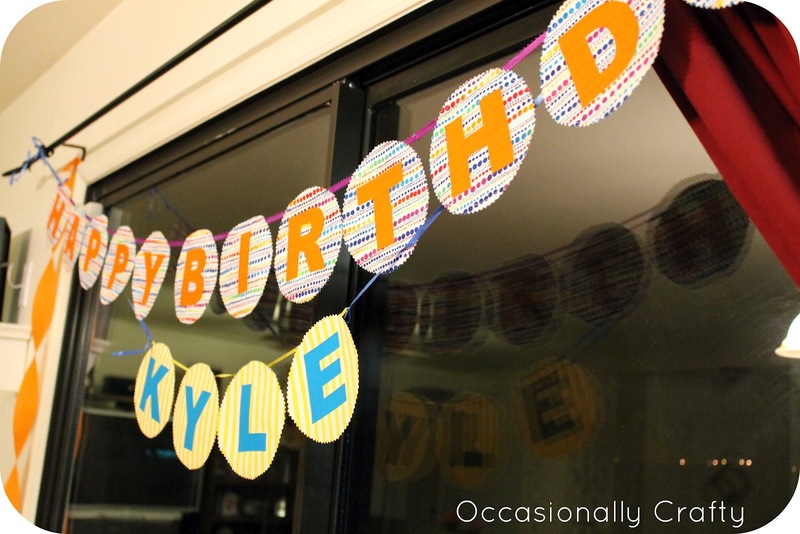 We decorate with a special birthday banner my sister in law made. We open Mom and Dad's presents in the morning as soon as they wake up, then everyone else's presents later with cake. We let them choose what kind of cake they want. This year I'm making.....a Lego cake. Of course. Daddy takes the birthday child out for a one-on-one lunch. Finally the birthday child gets to choose a restaurant for dinner. Right now that's pretty much always Peter Piper Pizza (like Chuck E Cheese for those who don't have a Peter Piper nearby). Hopefully someday that will evolve into a more varied and delicious restaurant choice :). We have cake and open the rest of the presents after dinner. How do you celebrate your children's birthdays? I'm sharing our birthday ideas at some linky parties this week- come along and join me! I think you read my mind! I've had something like this on the to do list for a while now.... thank you. will pin! Love the Lego shirt, Valerie! Thanks for the kind compliments! My son would love that shirt! Thanks for the great idea! Thanks for sharing at Terrific Tuesdays.